2010 is going to be a fantastic year and the excitement is already bubbling …. It will be a breakthrough year for me and to build a wider relationship with consumers. 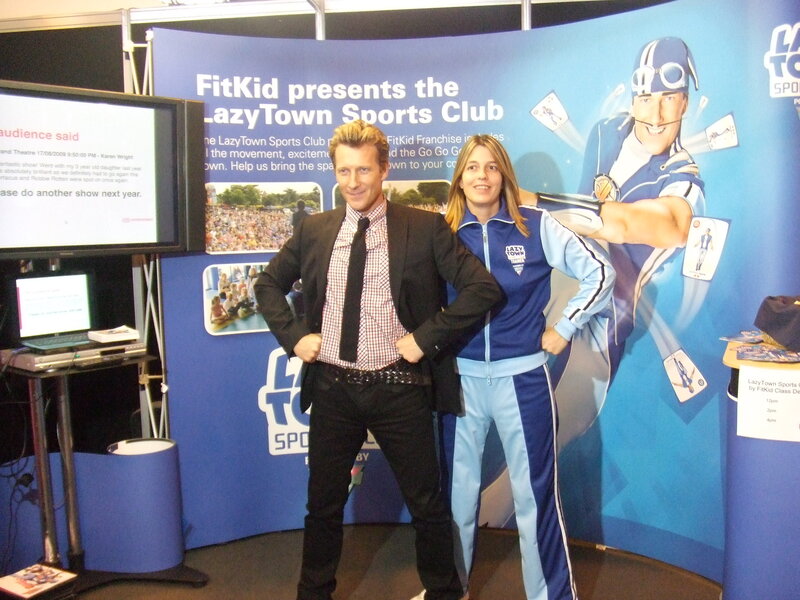 I’m going to offer ‘Tweets’ via Twitter to followers of FitKid and the LazyTown Sports Club Powered by FitKid who want to find things for their kids to do at the weekends and give those parents and their children a chance to give feedback on what they’ve enjoyed about them via the FitKid Facebook page. I’d also like it to be a place where people can get valuable information in relation to their kids health and keep them moving in a fun and engaging way. My aim for FitKid has always been to encourage a healthy lifestyle for children through exercise, but we have always been proud of the fact that we make the classes fun and deliver them in a way that appeals to children and their love of exploration and activity. The message is that FitKid is all about health but it’s never boring. Our social media launch is all about communicating with people and we will offer and encourage new ideas, tips, news and everything related to the positive work that FitKid does around the country and it will most importantly allow followers to interact with each other and FitKid to promote fun exercise and a healthy lifestyle to children and their parents everywhere.